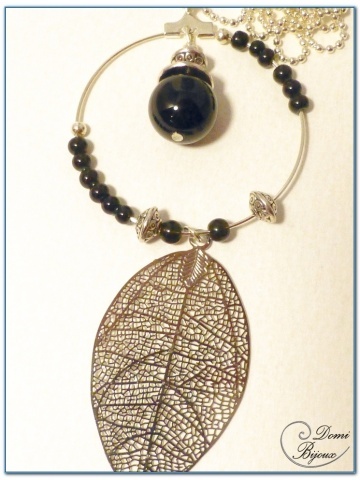 Fashion Necklace silver finish with a black agate pearl and a filigree leaf. 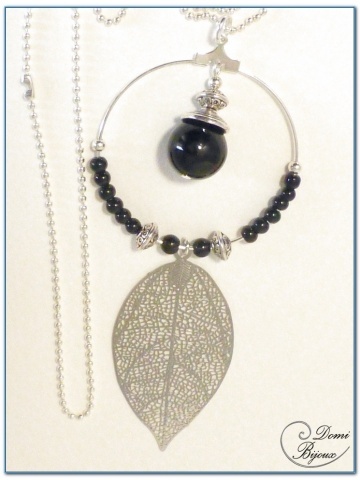 Fashion necklace silver colour made with a black agate pearl 10 mm diameter in a hoop silver colour and small black agate pearls , and a nice filigree leaf. 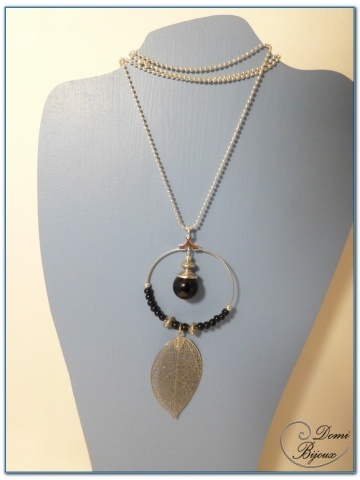 Well done, this pendant is mounted on a 60 cm length chain. Like all our jewels, this necklace is hand made. The metal used for this necklace is nickel free, so do noy fear allergies. You will receive your necklace in a nice cloth pouch, so you will store it carefully when you don't wear.